Walt Disney World® is one of our favorite vacation destinations and we’ve been there more than a few times! We have been compensated by Walt Disney World® and Scholastic to write this post, but our Walt Disney World® FastPass Rides List is made up of our own experiences and opinions! We’re firm believers in traveling with our kids when they’re young. 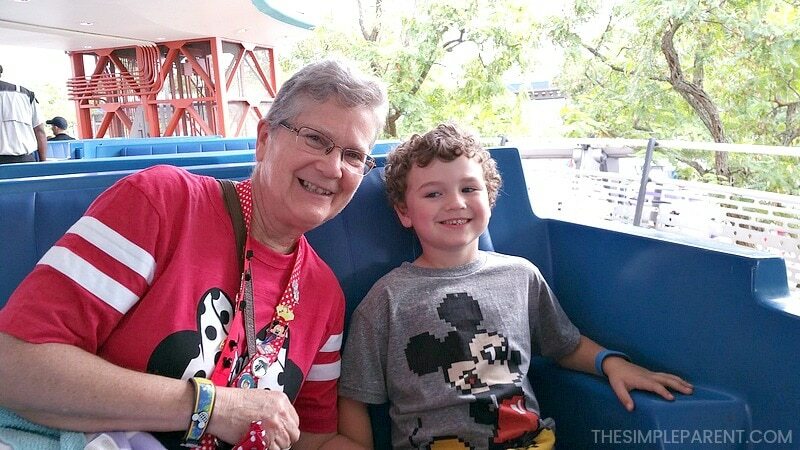 The preschool age range is absolutely perfect for traveling to the Walt Disney World® Resort for quite a few reasons. The main reason it’s a great age? Those magical memories and all of that pixie dust. Our last few trips have been with Carrigan, who is now a full-blown preschooler. They have been some of the best visits we’ve taken. The same was true for the trips we took when Weston was between three and five years old. 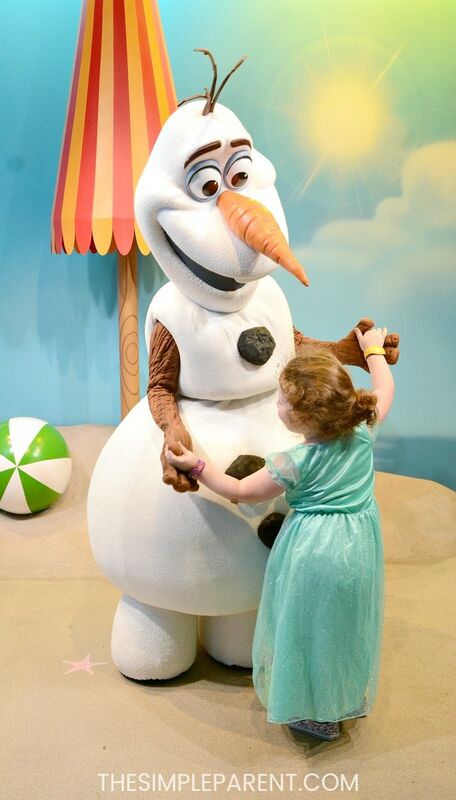 I will never forget watching her dance with Olaf the first time she met him! She was wearing an Elsa dress from Frozen Fever and was so worried he would melt! 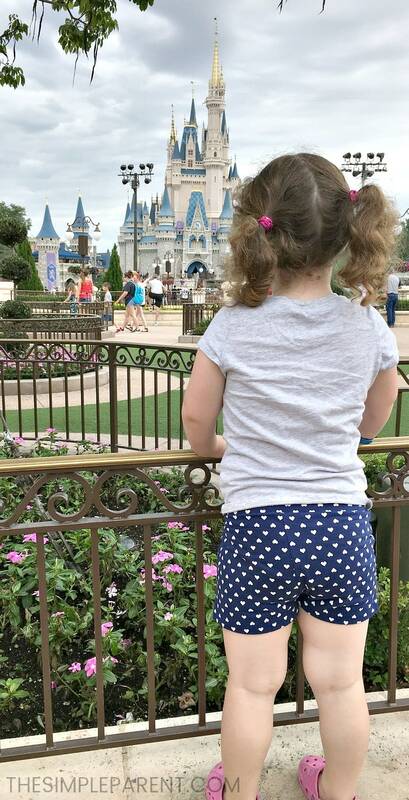 I shared some of our best tips for traveling to Walt Disney World® with Preschoolers because some people think that it sounds like too much work and not enough fun! But it’s so much fun! When you can capture photos like this, the memories of the magic live forever! If you’re heading to the resort with preschool-aged children, you might be worried about which rides to ride and which to avoid. 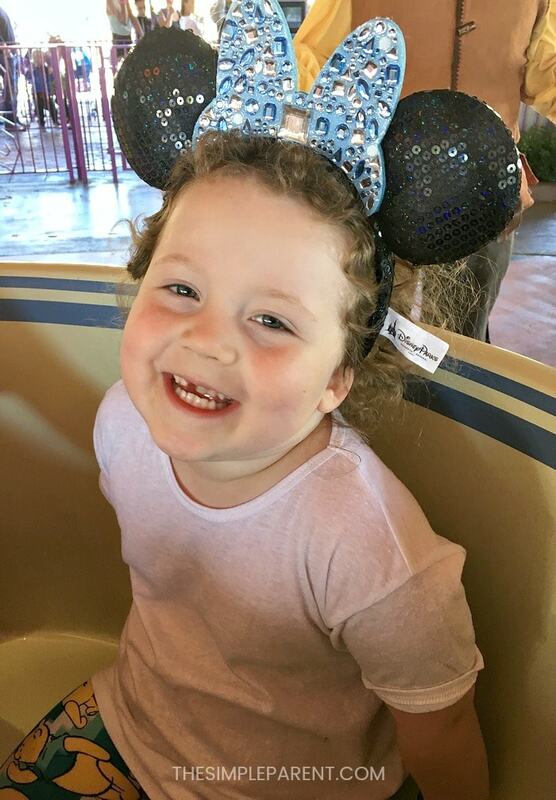 Sure, every child is different, but we’ve got a list of Walt Disney World® rides that have been popular with both of my kids. When it comes to making the most of your time in the parks and collecting the most memories, there are definitely some Walt Disney World® FastPass+ rides that you should know about. 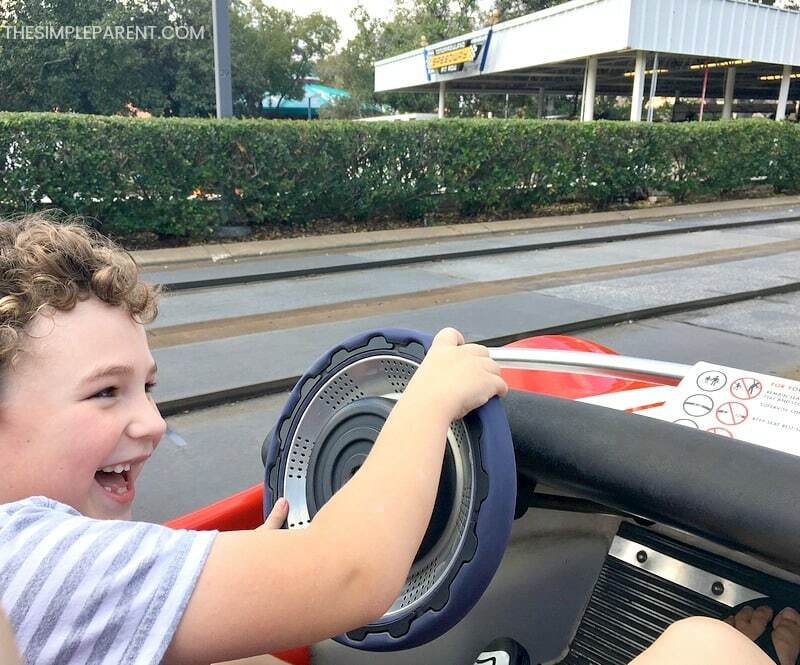 Weston is all about using a FastPass+ on Space Mountain now that he’s older, but we’re planning a girls’ trip next month so I recently spent some time making a preschool-friendly FastPass+ rides plan. When you think about Walt Disney World® and preschool-aged kids, you might be thinking teacups, teacups, and more teacups. 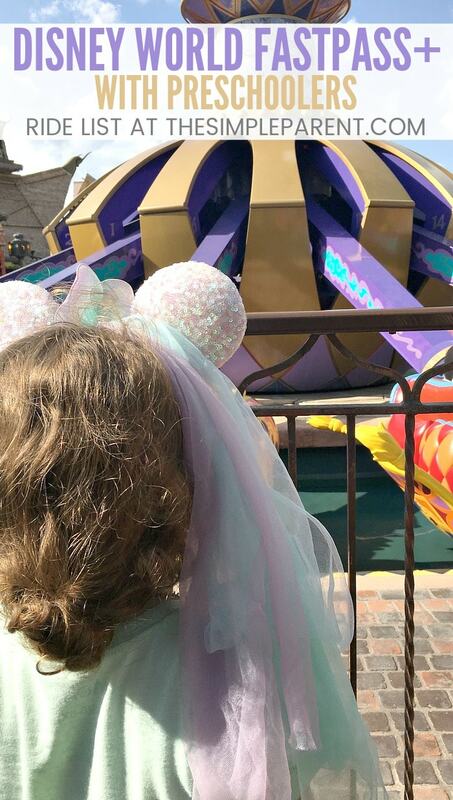 Mad Hatter Tea Party is definitely a favorite for my kids, but there is so much more to do with younger kids and you can make the most of your time by using your FastPass+ Reservations on some of them! It doesn’t always work out to ride every single ride. 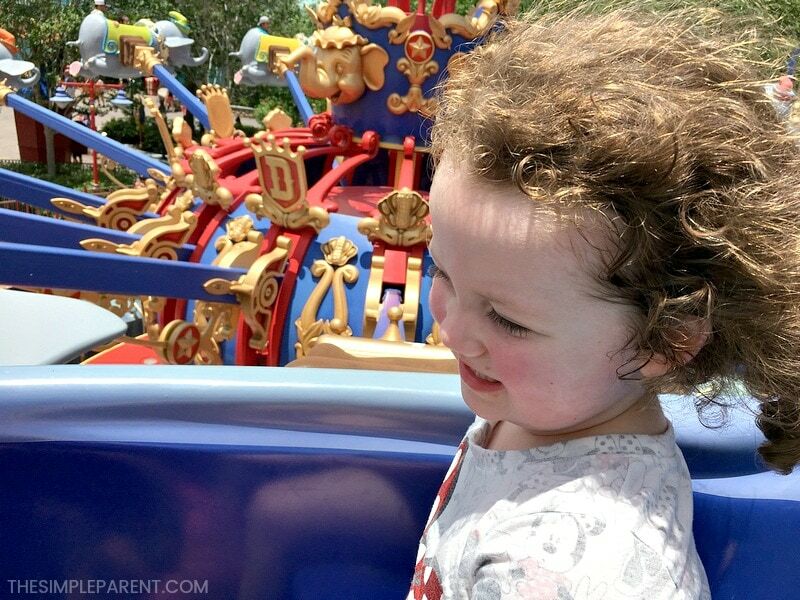 Carrigan loves using FastPass+ reservations (especially since she loves to ride Dumbo more than once), but I do have a list of rides I try to fit in when I’m planning our trips! It’s all about the magic because preschoolers are perfect for believing in all of the magic! Magic Kingdom is where we tend to spend a large part of our trips, so it has a bit more planning. When it comes to the other parks, there are a few must-have rides I always try to book as early as I can. At Epcot, Walt Disney World® FastPass+ rides are tiered, so you can only choose one of the top-tier rides per day. 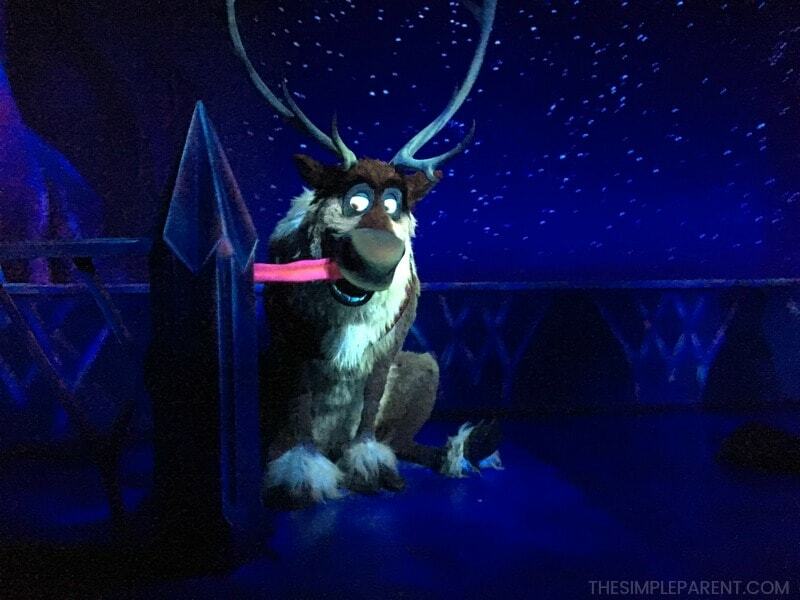 Frozen Ever After and Soarin’ are both tier 1, so it takes more than one day to do both. But we definitely try to do at least one of them per trip and both are lines that I don’t want to stand in with a preschooler! If you’re worried about Walt Disney World® ride heights when traveling with your preschooler, Soarin’ does have a height requirement of 40″ or taller. The other two do not have a height requirement so they’re great for all of the younger kids! The Magic Kingdom has proven to be the best for us as a family traveling with young kids. The park offers so many FastPass+ options and most people will use them for the big rides like Seven Dwarfs Mine Train, Space Mountain, Splash Mountain, and Big Thunder Mountain Railroad. When we’re traveling with the toddler and preschool crowd, those aren’t our priority. I’ve heard that some younger kids love Splash Mountain (40″ or taller) but Weston only started being willing to ride it now that he’s older. Carrigan wants nothing to do with it, even though I know she’d love most of the ride! So we take a different approach with these. We have a few must-haves we like to use FastPass+ on to shorten our wait time. These two are FastPass+ reservations I try to schedule first for our days at Magic Kingdom. After we book those, we look to some of our favorites where the lines can sometimes get long. 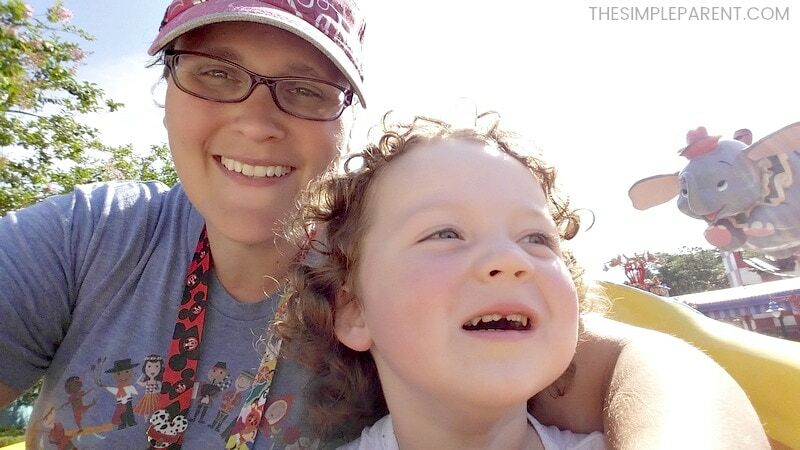 Two other rides that I have to book based on Carrigan’s love for them are Dumbo and it’s a small world. So if we have a FastPass+ available, I usually use one on each of them to make sure we get to ride with minimal wait. The great thing about these rides is that very few are affected by any major Walt Disney World® ride closures. That’s a definite perk about visiting with younger kids! You don’t have to worry about any disappointment in terms of what you ride and what you don’t get to ride. 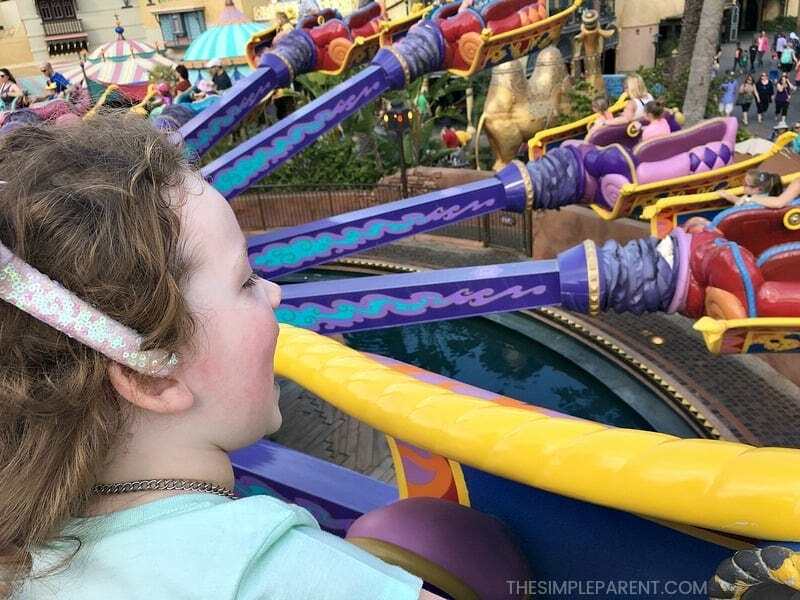 There are some rides that don’t have FastPass+ options but are preschool friendly, so you can add these to your list too! If you’re still wondering if it’s worth taking preschool kids to Walt Disney World®, we’ve only shared our favorite rides! 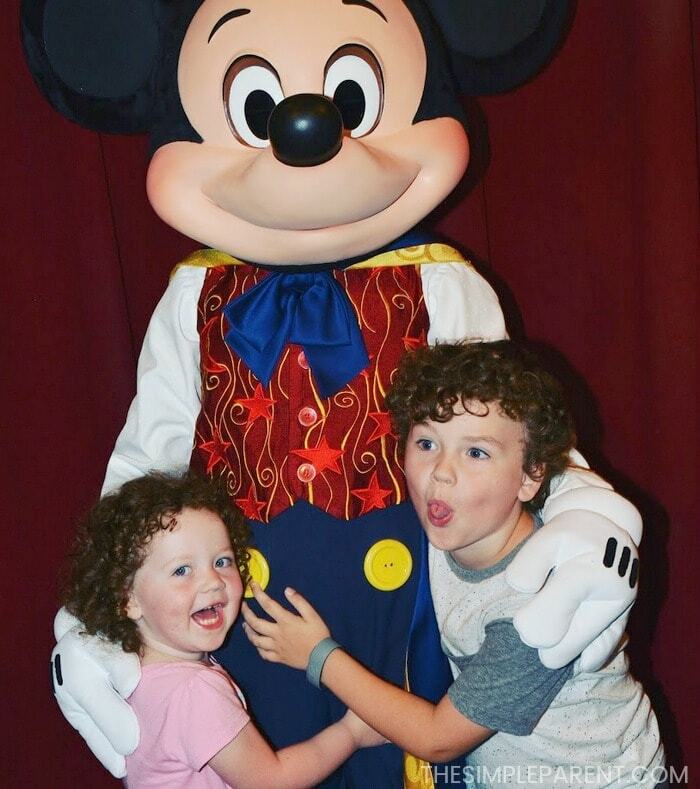 Another great place to make memories with the younger kids is the character meet and greets! One of our absolute favorites is Anna and Elsa at Epcot and we wait in line every trip! These days, it’s pretty easy to find a time without much of a wait (just use the My Disney Experience app)! When you’re at Magic Kingdom, you can use your FastPass+ reservations to make the most of all of the character meet and greets! For popular characters like Mickey Mouse and the princesses, you can save a lot of time (and line waiting) by scheduling a FastPass+! So, for anyone wondering if there is enough to do with preschool-aged kids at Walt Disney World®, we think there is more than enough! We can’t wait to head back for our next visit! If you’re ready to start planning your own Walt Disney World® trip with preschoolers, be sure to check out the Disney Parks Vacation Planning videos! There is also a great Planning Guide for Parents of Preschoolers! You can learn more about the fun families can have at each of the four theme parks, get helpful tips for your trip, and learn more about the benefits of staying at a resort hotel! The Preschoolers Magical Sweepstakes started on February 1 and runs through February 28! Each Thursday a new question about Walt Disney World® or Disney characters will be posted on the Scholastic Parents Facebook page. Ask your child the question and leave a comment on the indicated post with their reply to be entered for a chance to win a vacation to Walt Disney World® Resort! Visit scholastic.com/PreschoolersMagical to learn more!